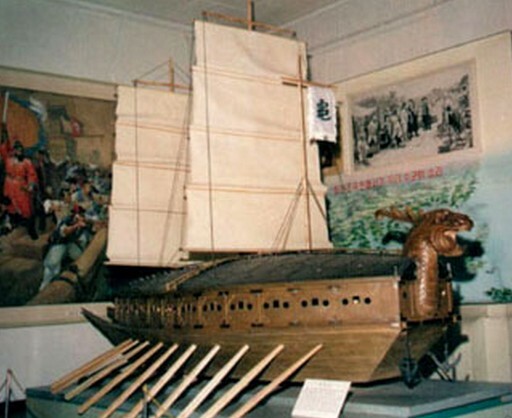 Ri Sun Sin (1545-1598) was a patriotic general who built Kobukson, or turtle ship, the first armored battleship in the world, and crushed the Japanese invaders. In the naval battle off Hansan Island, the Korean naval force commanded by Ri Sun Sin sank around 60 enemy ships and killed thousands of enemy troops. 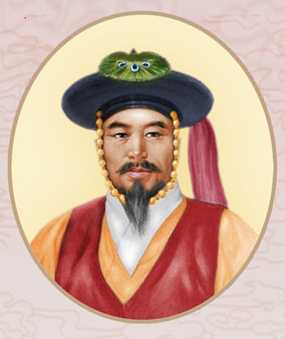 In mid-September 1597, the 12 vessels under his command fought against 330 enemy ships off Myongnyang, destroying 30 of them and killing thousands. In the battle off Roryang in November 1598, which crowned the war, his fleet destroyed over 200 enemy ships and killed 10,000. During this battle, he was shot to death. Breathing his last, he said that his soldiers should not be informed of his death till the battle was over.